A mill designed for a preparation of malt with production capacity from 400 to 700 kg per hour. 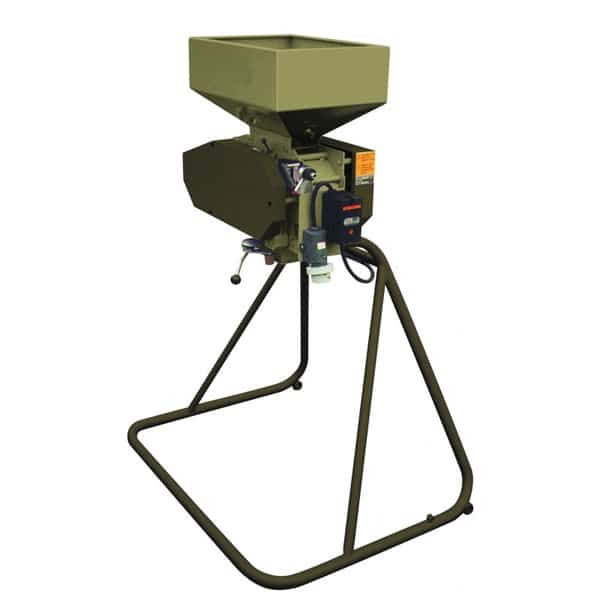 The MM-700 roller mill is a device made for a crushing of grains. We recommend using this model for microbreweries with a volume of the brewhouse up to 1500 liters. A mill designed for a preparation of malt with production capacity from 400 to 700 kg per hour. 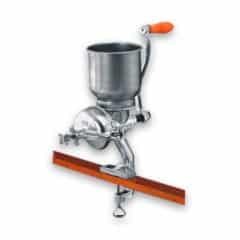 The MMR-100 roller mill is a device made for a crushing of grains. We recommend using this model for microbreweries with a volume of the brewhouse up to 1500 liters. The speed and direction of the rotating grinding roller are derived from the drive roller, which rotates in the opposite direction to the second drive roller, the cylinders are connected by means of an intermediate gear wheel with a ratio of 1: 2. The speed and direction of the cylinder are based on a drive roller that rotates in the opposite direction to the drive roller; The rollers are connected by a gear ratio of 1: 1 ratio. Alternatively, the product can be delivered without a stand. (with a wall shelf or a similar steel frame) . The stand is made of welded steel tubes and has a rectangular contour and it has a good stability. Removable steel frame in which working rollers are placed. The drive roller is firmly assembled in bearings and is driven by an electric motor with V-belts. The second roller is assembled in a sliding guide. The rollers have an opposite direction of rotation. There is a device (driven by electric motor) to fit bags in the bottom part of the case. 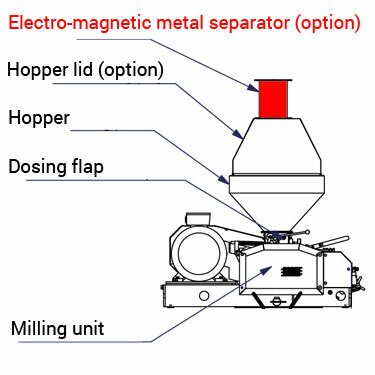 A hopper completes the device so that it is possible to operate with the device either by a conveyor or manually. The device is made mainly of steel – grade 11 (with regard to the functionality of the components, their wear resistance and good welding properties). The machine surface is protected by paint. All parts are standardized Czech-made elements. 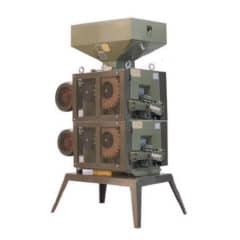 The machine is designed to operate in a flammable dust environment with a maximum temperature of + 40 ° C and a minimum temperature of -20 ° C. All electrical equipment corresponds with Czech standards. The machine was designed to operate under mild climatic conditions and has an IP 54 rating. The roller machine is not covered. The customer should arrange the delivery (the manufacturer is able to deliver the machine upon an agreement). Before the installation, it is necessary to store the roller machine in such a way that it is protected from damage and climatic influences. The manufacturer, according to production documents, is responsible for the operation, used material and machine production. 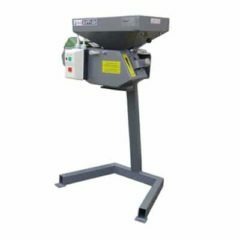 The manufacturer warrants the machine for the period specified in the warranty certificate provided that the customer uses the machine in accordance with this manual. The warranty is applied according to Law No. 09/64 Coll., in the full text of Law No. 80/89 Coll. and amendment No 103/90 Coll. Every repair during the warranty period and after-sales repairs are carried out by the manufacturer who guarantees service under the terms of the sales contract or operating conditions.The customer has the right to know the service terms before signing the contract. The crushing unit with the rollers is either attached to a stand from a tubular frame placed on the floor or suspended by a cantilevered wall mount. Individual adjustments can be made for the frame and console. The electrical connection is done simply by inserting the standardized fork into the socket in the electrical wiring panel on the machine from the local socket wiring. Machines are most commonly used on their own, but they are rarely as part of production lines. 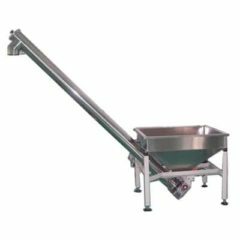 Handling and loading raw material into the hopper is performed manually, or to eliminate physical strain and time saving, the machine may be placed under the hopper outlet or the screw conveyor from room with store of malt is inserted into the hopper from upside. 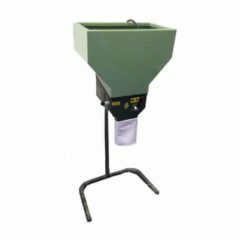 The milled malt is discharged to the suspended bag or to a screw conveyor connected to dosing, mixing, transport, storage of malt scrap. Otherwise the milled malt may been falling directly into the wort machine. 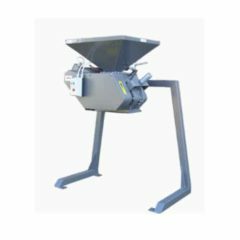 Stand – simple stand with the bag holder made from steel pipes to easy installation of the bags under the malt milling unit. 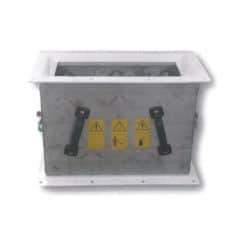 Control panel – The power cabinet with all electric signal, control and power elements designed to powering and control of the milling machine. The control panel has to be placed on the wall near of the machine. Electromagnetic separator of metal parts and the hopper lid – The optional accessory for the malt mill for increase the purity of malt squeezing process. Its function is the separation of metal parts from milled malt above rollers. 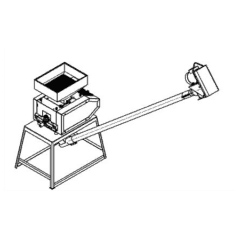 The optional equipment for the MMR-300 Malt mill – the grist screw conveyor, which transports the malt to the grist hopper on the mash tun of the brewhouse. 6.0 meters length. Price does not include an instalation work and electric equipment (power cabinet, wiring, control panel). The optional accessory for malt mills MMR-600, MMR-900 series for increase the purity of grinding. Its function is the separation of metal parts from milled malt above rollers. A mill for malt – with production capacity from 180 to 280 kg per hour, for preparation of malt grist. Extra wide rollers !! A mill designed for a preparation of malt with a production capacity from 500 to 650 kg per hour. Extra wide rollers !! We recommend this model of malt mill for medium microbreweries with a volume of the brewhouse up to to 1000 liters.